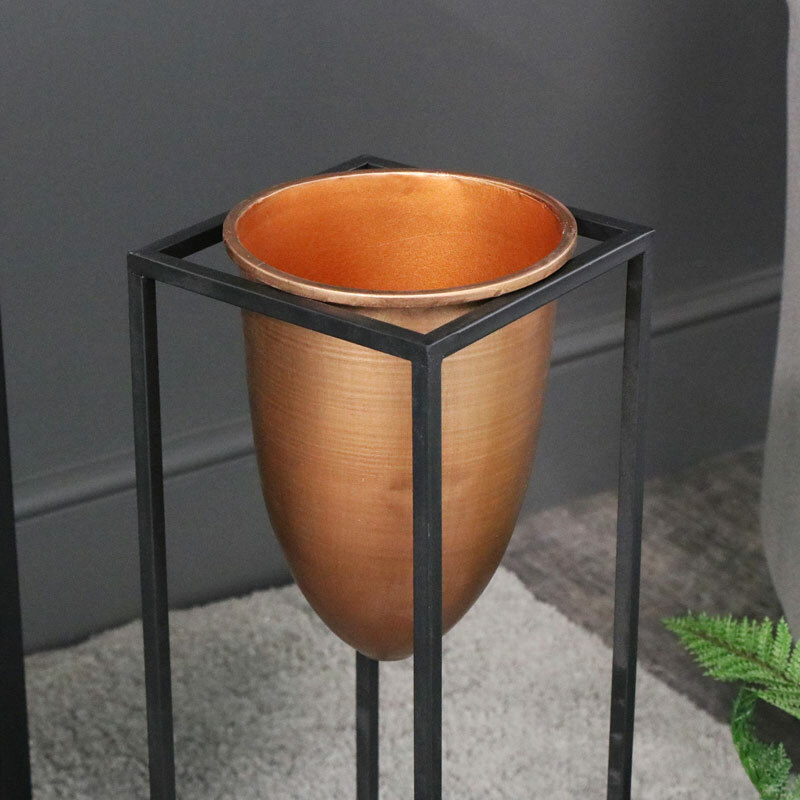 Tall copper bullet shape planter in black metal stand. Decorative plant & flower display for modern, contemporary home decor display. Ideal for showcasing your favourite plants and flowers in unique style. Vibrant copper colour pot displayed in black metal frame. Simple but stylish design with hints of the Scandi look. Perfect for the living room or hallway and can be used outdoors. 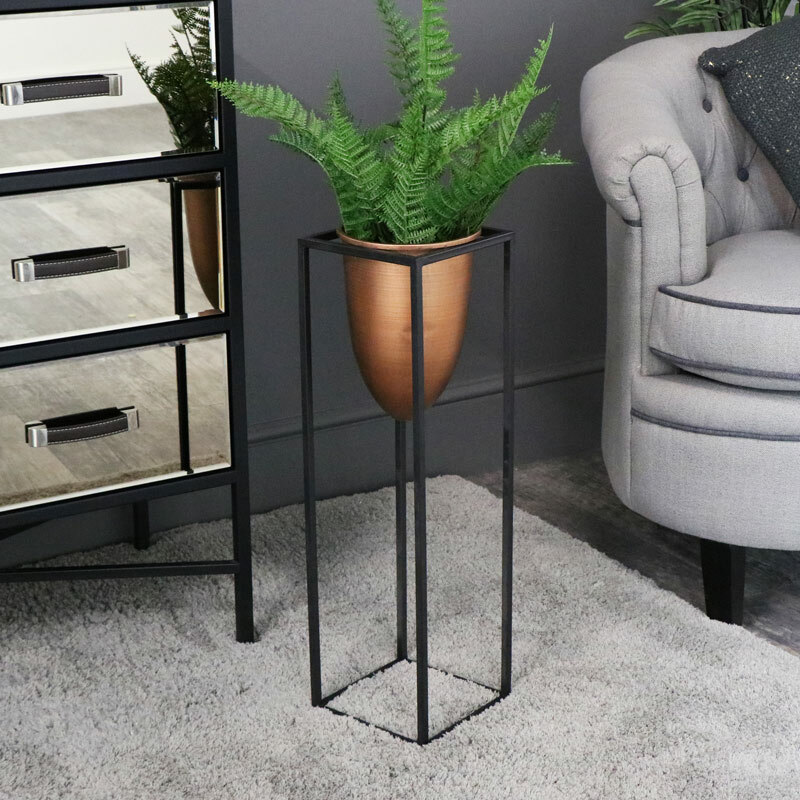 Tall copper bullet shape planter in black metal stand. Decorative plant & flower display for modern, contemporary home decor display. Ideal for showcasing your favourite plants and flowers in unique style. Vibrant copper colour pot displayed in black metal frame. Simple but stylish design with hints of the Scandi look. Perfect for the living room or hallway and can be used outdoors. Black painted metal frame and removable copper, bullet shaped, plant pot.